Make a triple layer cake the most amazing part of the party! Chocolate rules in this Oreo overload! 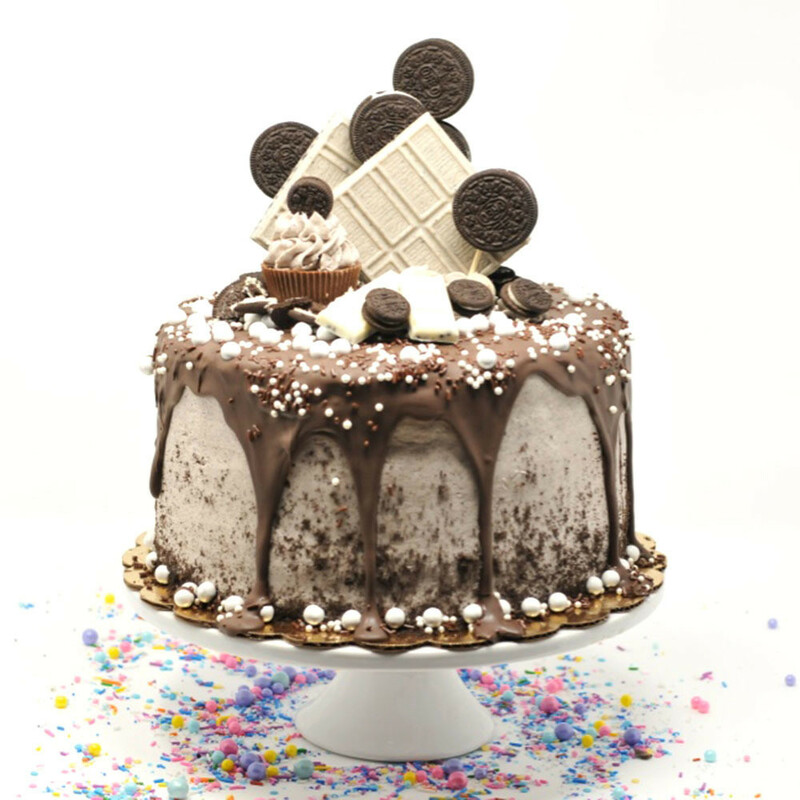 This cake is over the top for cookies and cream fans with chocolate cake, a chocolate drip, white crushed cookie bar, and then sprinkled with crushed oreos, sprinkles, and sixlets!